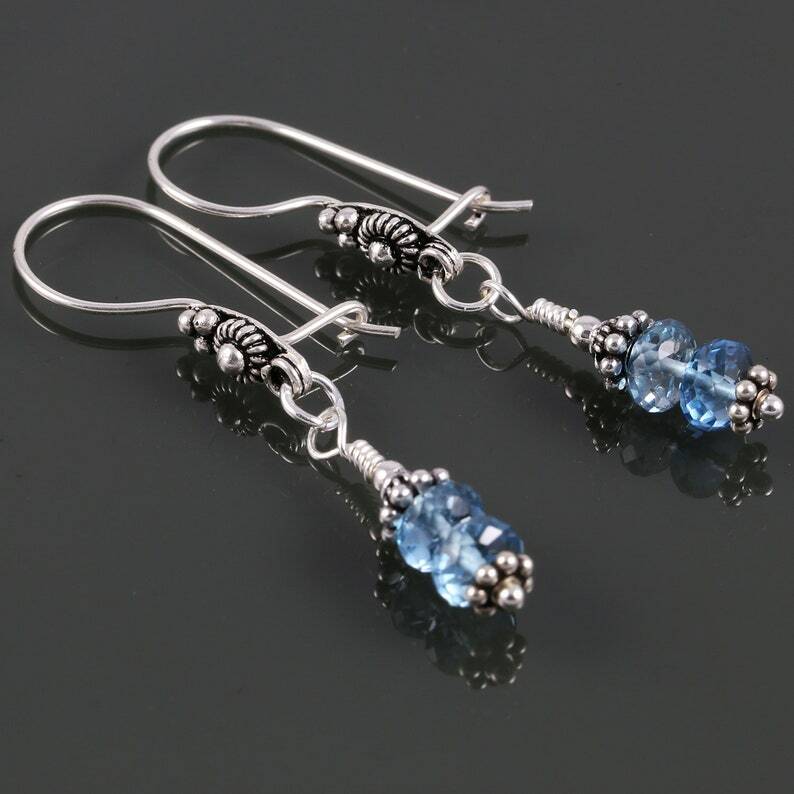 These simple and elegant earrings each have two genuine London blue topaz gemstones embellished by Bali-style sterling silver beads. These stones are so sparkly! The ear wires are sterling silver Bali-style kidney ear wires. Kidney wires add a little extra security to your earrings, making it more difficult for them to fall off while you're wearing them, yet they're really easy to put on. These earrings measure about 1-3/4 inches (4.4cm) in length from the tops of the ear wires. The London blue topaz stones are a beautiful transparent sea blue, and they measure about 6mm (1/4 inch) in diameter. Genuine Turquoise Earrings. Sterling Silver Ear Wires. Turquoise Earrings. Bali Style Earrings.